Back injuries and its associated pain, discomfort, and other symptoms are part of an undesirable situation which unfortunately many people commonly experience at one point in their lifetimes. After suffering direct trauma as a result of an injury or after experiencing a gradual wear and tear condition as a result of age, many individuals frequently seek chiropractic treatment to care for their back injuries and relieve their symptoms. Chiropractic care can help treat many injuries or conditions that could be causing your back pain but before seeking medical attention, even before your injury, preventing damage to your body is the best option for living without back complications and all its undesirable symptoms. First of all, for individuals who enjoy running and/or other running sports, preventing back injuries doesn’t require them to stop running. As with many other types of physical activity, running is a great way of maintaining physical fitness. 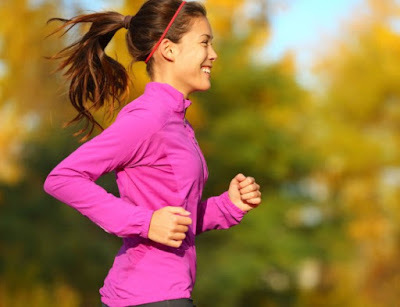 Running can raise levels of good cholesterol and help increase lung function. Additionally, running can boost the immune system and lower the risk of developing blood clots. Despite its benefits on the body, running is an activity that could easily cause joint damage due to overuse. The constant and repetitive motion of the feet commonly causes the cartilage of the joints and other structures to wear out, leading to irritation, and other problems. To prevent injury from running, simply remember to take plenty of rest in between runs as well as properly stretching and warming up the body before starting a long run. Cross training is another preventive measure that can be used for a majority of physical activities or sports. Cross training refers to the participation in two or more sports of different types of fitness workouts, such as cycling or swimming, to supplement another physical activity or sport, such as running. Whichever activity and form you perform the most in, the body most frequently will begin to slowly mold into that position. For example, many bikers are commonly diagnosed with neck pain while individuals who repeatedly use yoga often experience knee and shoulder complications. A proper fitness training requires cardio, strength, and flexibility exercises to evenly condition the body as well as balance the workout load as to not damage or injure yourself. And last, including several low or no impact activities into your cardio and strength training, such as yoga or pilates, can help keep you strong and injury free. Typically, low impact workouts are easier on the body, particularly the joints, but they can be a great way to warm up the body while reducing the risk of injury. These type of activities incorporate plenty of stretching as well as strengthening of the stabilizer muscles located within your core along with regular workout routines to enhance performance and prevent back or other types of injuries and symptoms.